Meet the friendly rehabilitated orangutans at Camp Leakey. 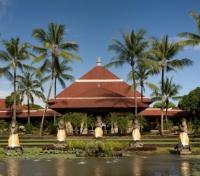 Visit waterfalls, tropical plantations, and rice terraces. 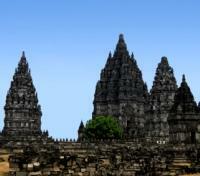 Explore countless ancient temple complexes led by private guide. Spend downtime relaxing on pristine beaches. Borneo is one of the last places in the world to see orangutans in the wild. You’ll feel a deep bond grow with the gentle giants of the jungle as you witness the incredibly interactions between orangutans in their natural habitat alongside knowledgeable research scientists at work. Experience one of the only places in the world where orangutans can be seen in the wild. Tanjung Puting National Park in Borneo has over 3,000 orangutans that inhabit the park’s 741,000 acres. Trek through mythical rainforest to spot Orangutans, Proboscis Monkeys, Gibbons, Tarsiers, and other primate species in their natural habitat. Enjoy the traditional Klotok river boat experience. 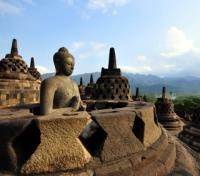 Experience the world’s largest complex of Buddhist monuments that rise from a patchwork of bottle-green rice paddies in Yogyakarta and visit the 9th century Hindu temples at Prambanan. 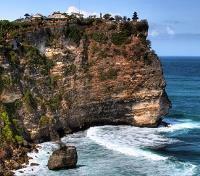 Transfer from Yogyakarta to the airport in Semarang with a private vehicle and English speaking guide. The transfer is approximately 4 hours. Fly from Semarang to Pangkalan Bun. Flight time is approximately 1 hour. Upon your arrival at Pangkalanbun Airport you will meet your local guide for a transfer to the pier for a boat cruise to Rimba Lodge in Tanjung Puting. Spend the afternoon at leisure, watching the canopy and lower branches of the dense forest in search for the local wildlife. 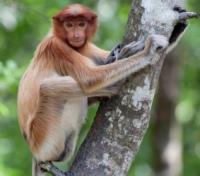 The local Proboscis Monkeys are most often spotted in the tree systems alongside the river. 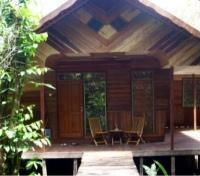 Rimba Lodge is perched on the edge of the Sekonyer River and surrounded by forest. Access is only by boat from the Port of Kumai. The timber Lodge is built in a series of adjoining elevated pavilions. 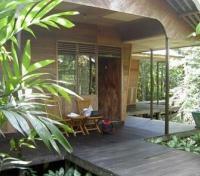 Five pavilions contain 3 rooms and have their own covered verandah and boardwalk to the river’s edge. Amethyst, Sapphire and Ruby rooms are adjoining in one large pavilion. The walkways also join the restaurant, reception and lounge and office. The Lodge is just a few minutes by boat from the orangutan feeding station at Pondok Tangui and mid way upstream to Camp Leakey. A resident troop of macaques are often seen around the Lodge and Proboscis monkeys are also often visible across the river. This is a Lodge that feels truly remote. After breakfast you will board the klotok to travel up river for about 2 hours and then up a side creek to Camp Leakey where the older orangutans used to be reintroduced into the rain forest. 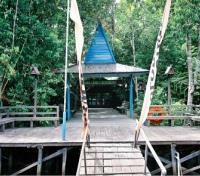 En route you will stop at Pondok Tanguy, the former rehabilitation centre for the new ex-captive orangutans. At Camp Leakey you will have opportunity to trek into the rain forest with your expert guide and the forestry rangers to appreciate the flora as well as perhaps sighting wild orangutans, gibbons, macaques, and birds. Lunch will be provided on the boat. 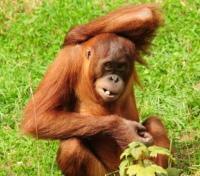 In the afternoon you will visit the feeding station to see rehabilitated orangutans eat their lunch. In the afternoon, enjoy some time at leisure where you can explore or just relax. After breakfast, prepare for a transfer by boat to the Kumai River harbour where a car will be waiting to take you to the airport. Fly from Pangkalan Bun to Surabaya. Flight time is approximately 1 hour. 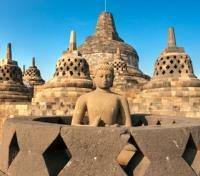 Fly from Surabaya to Denpasar (Bali). Flight time is approximately 1 hour.